Acupuncture and Traditional Chinese Medicine treatments have a balancing effect on all of the body’s physiologic systems; the endocrine system and hormones being one of them. Many women suffering from debilitating menstrual cycle issues such as severe abdominal pain, intense mood swings, anovulatory cycles, unexplained infertility, PCOS, acne, irregular or heavy periods, back pain, and breast tenderness have found great relief with Acupuncture & Chinese Medicine treatment. Later in life perimenopause and menopause can often bring unpleasant and for some women even, life altering health changes. Patients of Acupuncture & Chinese Medicine regularly report a considerable decrease in frequency and intensity of hot flashes and night sweats as well as improved sleep, focus and concentration. Lori has studied with such leading practitioners in the field as Jane Lyttleton, Randine Lewis and Michael Berkley. She has worked with many couples over the years, both those seeking a natural approach to improved fertility as well as those working with western fertility MDs and it gives her great satisfaction to be able to be a part of such an important journey in her patient’s lives. Both in-office Acupuncture treatment and at home treatment with moxibustion (a Chinese herb that is applied above the skin to heat specific Acu-points) are known to be effective in encouraging babies in utero to move into proper birthing position. 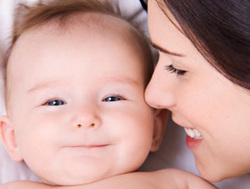 This treatment is ideally applied between the 32 and 35 weeks gestation in order to obtain the best results and results are typically very positive. Several randomized studies in France showed a significantly reduced need for caesarean section intervention and external cephalic versions for breech presentation with the use of Acupuncture treatment. The Chinese Medicine treatment protocol for turning breech babies is over 1,000 years old and poses no risk to mother or baby. Studies have shown that weekly pre-birth Acupuncture sessions applied starting at 36-37 weeks can prepare the body for a more efficient labor and delivery process and can lead to a decrease of western medical interventions. Several Acupuncture points specifically help to soften and ripen the cervix, encourage the baby to drop and engage the cervix as well as encourage uterine contractions when the time is right. Pre-birth Acupuncture can help shorten labor time, decrease the need for pain medication during labor, reduce medical interventions, and decrease labor and delivery complications. Lori, Dallas and Verena have all had the privilege of studying with Debra Betts, a leading Acupuncture Practitioner in the area of Acupuncture Obstetrics in New Zealand and author of “The Essential Guide to Acupuncture and Pregnancy in Childbirth”. Acupuncture and Traditional Chinese Medicine treatments have a balancing effect on all of the body’s physiologic systems; the endocrine system and hormones being one of them. Many women suffering from debilitating menstrual cycle issues such as severe abdominal pain, intense mood swings, acne, heavy bleeding, irregular cycles, back pain, and breast tenderness have found great relief with Acupuncture & Chinese Medicine treatment. The symptoms of perimenopause and menopause can be frustrating, embarrassing and often debilitating for many women. Western medicine often prescribes hormone replacement therapy for those women who are struggling with difficult transitions into menopause however recent research has shown that this treatment may also come with certain health risks. Traditional Chinese Medicine treatment for menopausal symptoms is both safe and effective and many women notice improvement in their symptoms after only a few treatments. Patients regularly report considerable decrease in frequency and intensity of hot flashes, improved sleep and improved focus and concentration.